CHICAGO (WLS) -- THE RAIDERS ARE OFF TO A somewhat SURPRISING 2-1 START, AND ARE FAVORED TO WIN SUNDAY at Soldier Field. FIRST TIME OAKLAND'S BEEN FAVORED ON THE ROAD SINCE SEPTEMBER OF 2012. MAYBE THAT WILL CHANGE IF THE BEARS ANNOUNCE THE RETURN OF JAY CUTLER WHO WAS BACK AT PRACTICE TODAY. "I thought he had a good practice." John Fox said, "He was limited. Obviously we're trying to treat him and get him back, but I thought he had a good day." Cutler's time line has always been 2-5 weeks, but Cutler's always been a fast healer. And if he can play, and Alshon Jeffery can play, it would be a huge boost for an offense coming off the shut out in Seattle. SPEAKING OF A BOOST, JEREMIAH RATLIFF RETURNED TO PRACTICE FOLLOWING SUSPENSION AND AN ANKLE INJURY. He remains limited and questionable but veteran DEFENSIVE END IS ANXIOUS TO GET ON THE FIELD. As Vic Fangio put it, " a player of his caliber always helps the cause." This is true. But the same was thought of Jared Allen who was the first trade of a busy start to week 4. 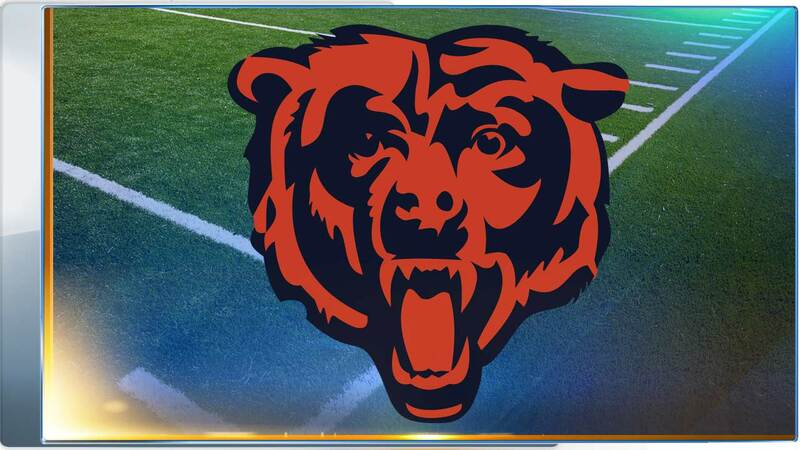 Allen now in Carolina was praised for his professionalism in trying to learn a new position, but reality is the Bears felt they have more depth and talent at Outside Linebacker- namely in Sam Acho & Willie Young who will both see more playing time as a result. Acho has been reliable so far, learning a lot playing alongside Pernell McPhee. The Bears clearly haven't won in any phase. But giving up touchdown returns in back to back weeks is unacceptable. The trades did bring in a couple of guys for a Special Teams unit in need of something, um, special. Coordinator Jeff Rodgers saying as much while adding we know we made mistakes - we now need to admit them and fix them. Here's hoping. The knee injury to punter Pat O'Donnell is a concern, but Rodgers says its early, there is no need to be taking any drastic measures yet. 0-3 is a disappointing reality but its serving as a chance to reveal the character of this team. Lamarr Houston saying "Everyone's there when you're winning, but when you're losing you find out who's going to work every single day." Ratliff was adamant that talking won't change anything. "You have to work harder than you worked before. Make it noticeable. That's what we have to do. Period." Martellus Bennett, not short on analogy today put it like this " It's not much different than (road) construction... you hate it at the time but when its done its smooth sailing and you think, man I'm glad they fixed that road." Let's hope the orange barrels around Halas Hall will ultimately be worth it.